If Malden were to institute a city-wide residential parking sticker program, how should visitor parking be handled? That was the topic that faced the City Council’s Parking Review Committee at the body’s Jan. 29 meeting. It’s an issue that has plagued prior iterations of the body in the past, as seemingly every time the topic of a city-wide parking program has been discussed, one of the major stumbling blocks was always visitor parking. The big difference this time around is the presence of Parking Department Director Ron Hogan. 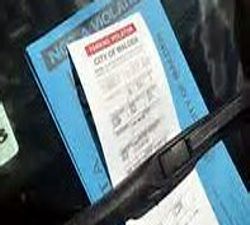 While Hogan has been with the city for several years, the Parking Department has not, as it was only created this past fiscal year in an effort to consolidate parking responsibilities under one department and to serve as the enforcement arm of a city-wide parking sticker program should one be passed. Starting last year, Hogan has provided the committee with a step-by-step process for approving such a program, and the body has progressed through it with relative ease, until now, when it was finally time to tackle visitor parking again. “This is a tough issue, because we need to stop illegal uses of those passes,” said Councilor Neal Anderson. As Anderson alluded, visitor parking passes have to walk a fine line of being restrictive enough to prevent them being used illegally while also not being a burden to residents who wish to use them correctly. This second point takes on greater importance in the parts of the city close to MBTA stations. As previously approved by the committee, the intent is to create two parking zones in Malden: one encompassing both Malden Station and Oak Grove and those surrounding areas, and one for the rest of the city. While that second zone will only have sticker parking at nights, the “T Zone” will include sticker parking during the day as a way to prevent commuters from parking where they shouldn’t. Councilor Barbara Murphy explained that the visitor passes inside the T-Zone will need to be used more frequently, for everything from a simple lunch visit to care givers visiting their patients. “To me, that’s life in the neighborhood,” she said. Hogan listened to all of the councilor’s concerns and promised to come back next meeting with two proposals for the committee: one that has paper passes and another that will be electronic.